Can a young woman single-handedly change the fate of a magical kingdom? Set out on a voyage with Jane Lockwood into a mysterious world of danger and adventure, into a whirlwind of magic and wonder! 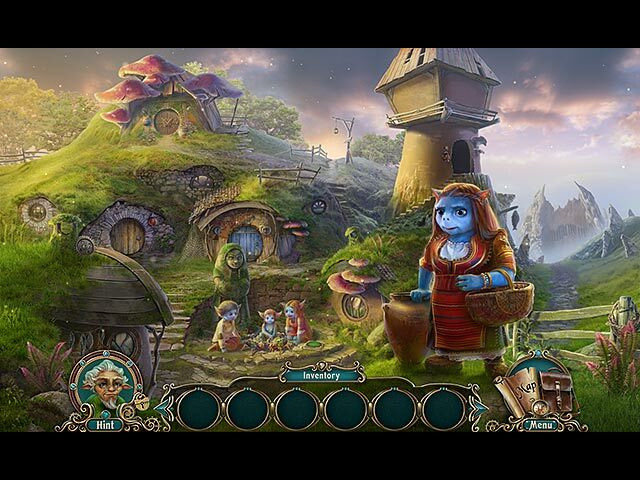 As you encounter a host of unusual and amusing creatures and help them in their troubles, you will inch closer and closer to your final goal – finding Jane's long-lost parents, all the while freeing the great and wise Time Keepers from the grip of oblivion. Find out why time came to a standstill, and drive the ancient evil out of Nearwood once and for all! Bring back peace and quiet to the land! Save Nearwood! 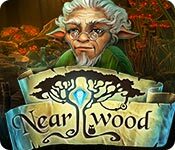 Nearwood is rated 4.5 out of 5 by 95. Rated 5 out of 5 by Bumbles2 from Beautifully relaxing and magically entertaining !!! WOW...what can I say here...this has to be the most beautiful game I've ever played. I got sooo caught up with the story and the various fairy-like characters and had a really hard time leaving the game !!! The opening scene is a must see when you first dive into this game....it will plunge your mind into the magical kingdom !!! Jane Lockwood loses both her Mother and Father...her mother passes away and then her father disappears. You have a little companion Fey the Advisor...he follows you around and offers ideas and history at some of the locations you move to. Jane has to gather items that each location needs...when you have completed a task you will receive an item that belongs somewhere else....please note...its not like most HOG's which I was pleasantly surprised to find out. Ocassionally there are some puzzles thrown in...they are quite different and easily done. All in all this game was an absolute pleasure to play. I am so totally amazed at the stunning graphics and the clarity of each scene. Its a pleasure to play when everything is crisp and can be seen easily. The music also felt magical...I really liked that. It was nice and relaxing !!! I really loved this game...and I think you will too !!! Give the Demo a try and I think you'll have to agree with me !!! Have fun all !!! Rated 5 out of 5 by BlackwellFan25 from LOVELY GAME! Nearwood is so FANTASTIC! I am so amazed on the graphics, it's so lovely! The soundtracks is very calming, which I love it very much. I also love the characters and the storyline! 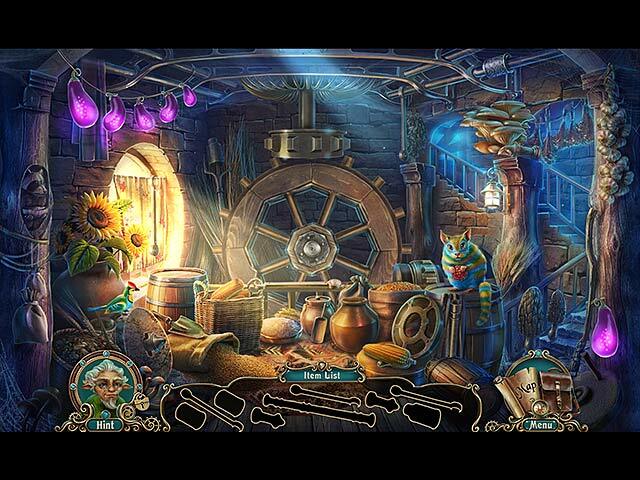 The puzzles are nicely done and the hidden object scenes are really good. Rated 5 out of 5 by Ashleaves from Excellent Game! I truly like this game. Great story-line. Very cute. Lots of fun. Its nice to play a game once in a while that isn't so doom and gloom. My only critique is the map. It wasn't that useful as it didn't tell you where you actually had tasks you could perform. I hope they come out with another. This game was a real pleasure to play! Rated 5 out of 5 by ClassyRider from Beautiful Graphics and Animation From the opening animation sequence where we find ourselves flying/soaring through and over waterfalls and rivers and the desert, the graphics are outstanding. The storyline is clever and engaging. Mostly, what I liked about this, as compared to so many others, was that the colors and scenery were bright and inviting - magical - versus the typical dark gloominess so often depicted in these stories. I played on casual, as I always do since I'm just playing for pleasure, but one thing I would suggest is that the map offer a clearer sense for places where something can actually be done. Other than that, I give this one an A+ and highly recommend it. Rated 5 out of 5 by smilingsun72 from Delightful! Fantastic! Beautiful! Completed-This game is a must have for those looking for something different than gloomy and dismal. Though there is a dark cloud floating about it can't thwart the bright, cheery scenes and colorful characters I encountered. The story starts out sad but has a wonderful, uplifting end. The puzzles are not easy or hard, though a couple were a bit challenging in casual mode. I loved not having every thing given to me...I had to take my time and search the scenes for items. There is a map that can be used to travel but there is a catch, there's a brief cool down time between travel times. And the map does show areas of interest but doesn't reveal what has to be done, which I liked. I highly recommend this game to those who are looking for a something doesn't give you all the bells and whistles. Rated 5 out of 5 by cheshirerose from +lovely game this game is beautiful, and peaceful. I'm not a young game player who likes rough and ready games. I really wish I could find more games like this! Rated 5 out of 5 by mixedmedia from My favorite of all time This game is beautiful, no, make that, gorgeous! From the very beginning when you are floating through beautiful views of spectacular water and land, you are transported. The music and graphics are superb. The game is very nice. Most enjoyable. One of the few I love to play over again. Rated 5 out of 5 by tutortime from Beautiful, long game. Wish I had purchased the CC edition ! The graphics and colors were really beautiful and the story line was very interesting. The opening scene was like a movie. Rated 5 out of 5 by MAG57 from STUNNING! This is the most beautiful game I have played. I am blown away by the beauty. It would be nice to fine more games like this. Rated 5 out of 5 by Heather_G from WOW... Just WOW! I haven't seen such gorgeous environments since the Myst series. Okay, these are slightly less realistic, but the colors, sounds, textures, flora, fauna--just amazing. Almost every scene has movement, too, not a slideshow. Even the music was pleasant and unobtrusive. I hated to leave the place. The flyover going on behind the startup screen is almost worth the price of the game. 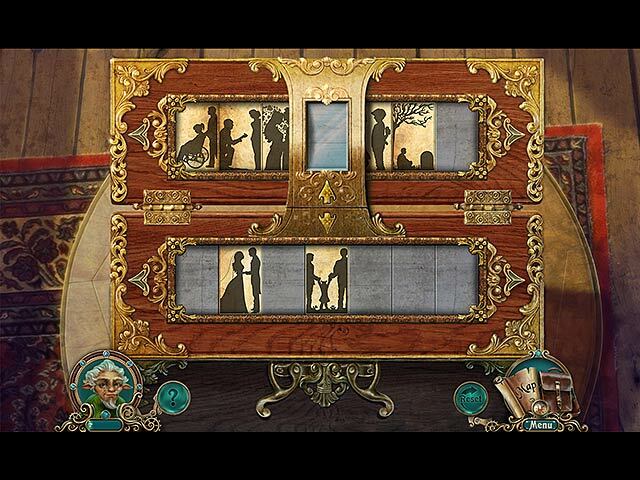 Coming from a long adventure gaming background, I can say this game is more adventure than hidden object. There were a few fragmented object scenes, and a couple "drag items into place" scenes, but they were few and far between. Compared to true adventure games, it was on the easy side, but for a FROG or HOG it's pretty challenging. My only regret is that I didn't buy the CE!! I do SO recommend this game. The fate of the magical world is in your hands – free it from evil!